Motorola Two-way Radio Rentals Boston Massachusetts Comtronics Corp.
Comtronics Corp. provides short-term two way radio rental solutions in the Boston area. Whether you need radio-to-radio communications or city-, regional-coverage, Comtronics has the radio rental for you! 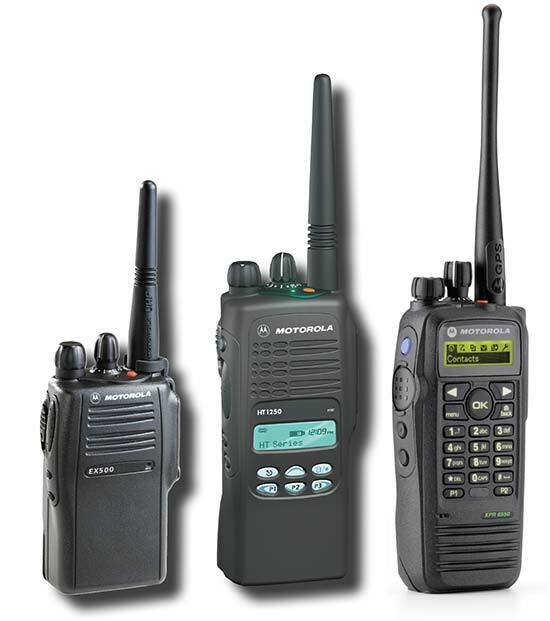 Comtronics provides genuine Motorola two way portable products for the utmost in quality and reliability, available in UHF/VHF or 800/900 MHz, conventional, digital or trunking configurations. We offer ultra-compact models such as the EX500/600 or MOTOTRBO Digital XPR6550 in UHF and XPR6580 in 900 MHz. Comtronics also rentals all of the two way radios accessories you need for your event including earpieces, spare batteries, chargers and speaker microphones. Please click here to contact our rental department.